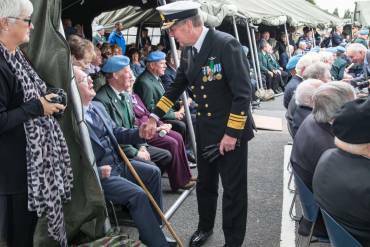 On Saturday September 17th, 55 years after the siege at Jadotville, the veterans from A Company were gathered for a ceremony to commemorate their services during their mission to the Congo. 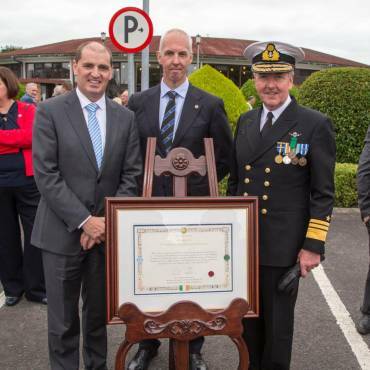 For the first time in Irish military history, they were awarded a Unit Citation, a mark of recognition of their actions against insurmountable odds. 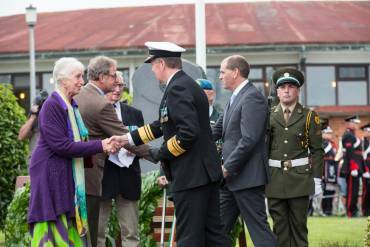 The brave men of the 35th Battalion, A Company, arrived in Jadotville in 1961. Katanga, the province in the Congo where they found themselves, was an area of unrest and distrust, with Moise Tshombe seizing command as the country’s self-elected President. 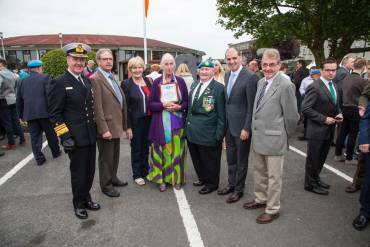 Less than two weeks after their arrival in Jadotville, on September 13th, A Company came under fire from Katangan soldiers and mercenaries. In a story that proves that truth is stranger than fiction, A Company survived a siege against an army twenty times its size. On September 17th, the ceasefire arrangements were put into place; the men of A Company, all 157, were taken into custody by the Katangan soldiers. Not a single man had died in combat, despite the superior numbers and firepower of their opposition. 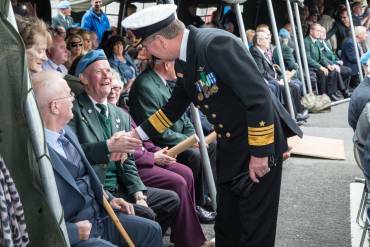 When they eventually returned to Ireland, they were disgraced for their supposed cowardice in the face of overwhelming odds; their story was swept under the rug, their actions forgotten, and their honour marred by politics. 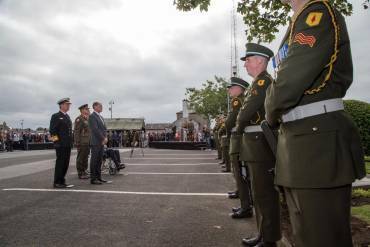 In 2005, more than forty years later, a commemorative stone was placed at Custume Barracks in Athlone to recognise the actions of A Company, following a lifetime of ridicule. Finally, in 2016, they were awarded their Unit Citation. 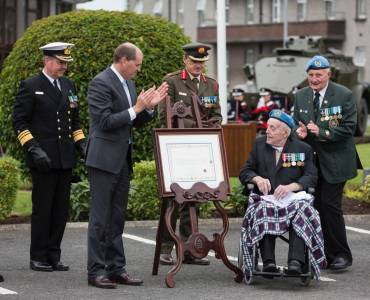 While many believe this a fitting end to their tale, married with the release of The Siege of Jadotville by Netflix – the film adaptation of Declan Power’s Siege At Jadotville – many others believe that this is merely the beginning. 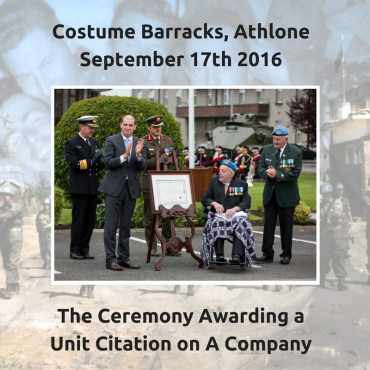 The Unit Citation is considered the first step towards finally getting A Company the medals they deserve. The new edition of Declan Power’s book on the subject will be released on October 6th. The Siege of Jadotville will be released globally on Netflix on October 7th. 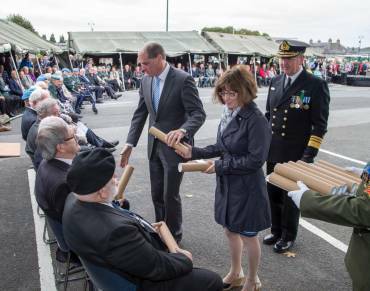 In the meantime, please enjoy these photos from Saturday’s ceremony, courtesy of The Defence Forces.